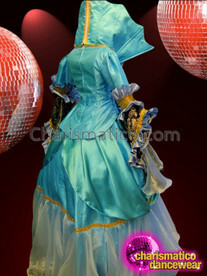 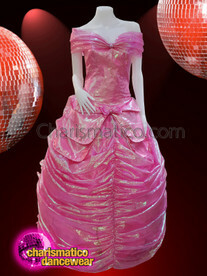 The attractive shade of pink along with the work of sequins and ruffle makes it a must have outfit for the stage. 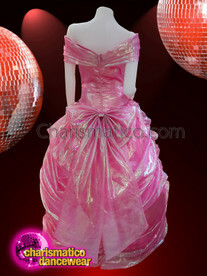 The use of elegance and style to design this gown is what sets it apart. 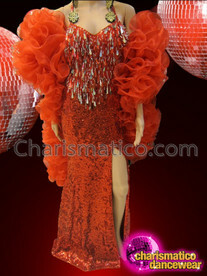 The ruffle floral work on the dress matches the shimmer of the sequins.